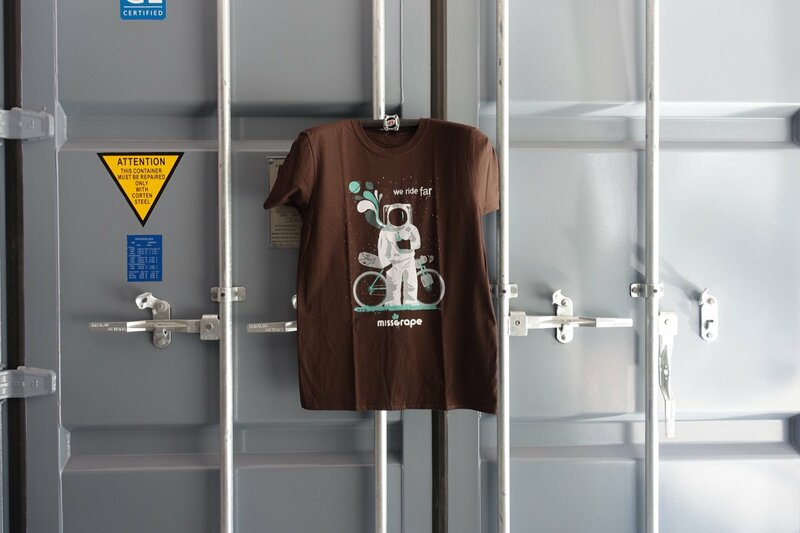 T-Shirt Miss Grape Artist “We Ride Far” by Fabio Consoli. FREE SHIPPING ON ORDERS OVER €100 IN ITALY AND €150 IN EUROPE. When an artist, passionate about bikes and adventures, meets Miss Grape, there is often born a collaboration. Sometimes from this collaboration an idea for a t-shirt is hatched; an exclusive, limited edition T-shirt. Today our friend, Fabio Consoli has gifted us a dream, a childhood dream of becoming an astronaut. Though he has still not set foot on the moon, the fantasies of a traveller are unlimited “We Ride Far”. drawn and printed in Italy.